21-22 March 2018. Washington, DC. 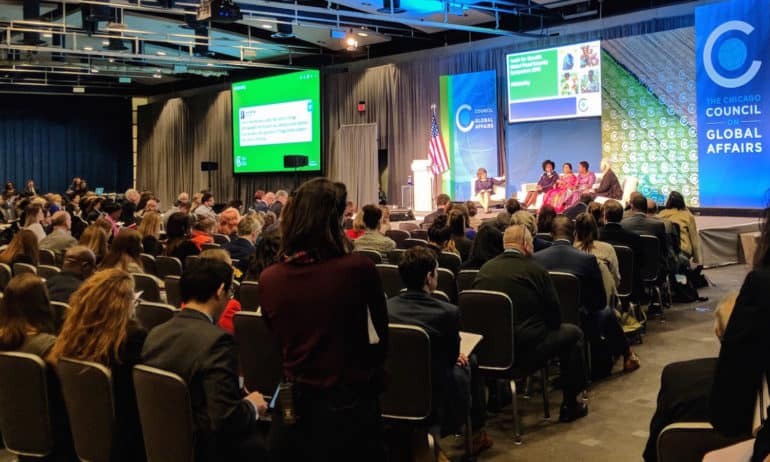 The Chicago Council on Global Affairs brought together leaders from across public and private sectors at the annual Global Food Security Symposium. The theme of the 2018 Symposium centered on “Youth for Growth,” and on creating and expanding opportunities for meaningful employment for youth in food and agriculture, connecting these populations with vital human resources like technical assistance and mentorship, and addressing perceptions of agriculture as an unprofitable and/or unappealing industry. The 2018 Global Food Security Report provides four specific policy recommendations for the United States government. The first is for the executive branch to establish a long-term strategy for global food security through the National Security Council (NSC) in coordination with the U.S. Agency for International Development (USAID). The second is for Congress to increase funding for agricultural research and development through theU.S. Department of Agriculture (USDA) as well as through investment in the Consultative Group on International Agricultural Research (CGIAR). The third is to invest in human capital development in food insecure regions through nutritional programs, education and vocational training, and programs for youth entrepreneurship. The fourth is for the U.S. government to support international regulatory norms for business and trade that create job opportunities for youth in food insecure regions. The conference also addressed the importance of not only listening to the voices of young people, but supporting them as leaders and partners in food and agriculture initiatives. “Give more responsibility to the youth,” said Linda Kwamboka, Cofounder and Director of M-Farm, a technology platform that began in Kenya. “They’re the ones who know what the problem is, and they’re the ones who actually know what the solution is,” said Gouri Mirpuri, Cofounder of The Learning Farm, speaking about the youth participating in The Learning Farm’s program in Indonesia. This message also extended to farmers: “Listen to farmers; maybe what you are thinking is not right. They know exactly what they want,” said Chetna Sinha, Founder and Chairperson of the Mann Deshi Foundation, speaking about lessons learned in designing credit products to serve the needs of rural women farmers in India. Youth livelihoods in LMICs largely depend on the successful transformation of agriculture, and agricultural and economic transformation will require strong youth engagement to succeed. Simply put, young people need agriculture, and agriculture needs young people. As these surging youth populations come of age, how we meet their needs and aspirations—and how well governments integrate them economically, politically, and socially—will shape our shared future. With the right policies and investments, along with the engagement of young people in nurturing their own potential, the largest generation of young people in human history can become the problem-solving producers, creators, entrepreneurs, change agents, and leaders of the coming decades. 27 March 2018. Webinar. The webinar on Dgroups: simple solutions for building communities in your organization, organized in partnership with FAO, took place on 22 March, 2018. About 70 people joined the live event; several more had registered and expressed the interest to receive the webinar recording. The full session is now available for playback on our YouTube channel and below here. An introduction about Dgroups, by Saskia Harmsen. Dgroup is a longstanding successful development initiative that promotes dialogue. Supported by over 20 organizations, it currently engages over 290 000 people in all countries and territories of the world. It offers an easy to use email tool and an online platform for small or large groups that benefit from networks and discussions. The Global Farmer Field School Platform Dgroups, by Suzanne Phillips. Suzanne Phillips from FAO shared her experience using a Dgroup to connect a global community of FAO Farmer Field School practitioners all over the world. She decided to use Dgroup as an additional tool to ensure inclusion of all stakeholders, even when they have a poor internet connection, low IT-literacy and little time to engage in exchanges. Unmanned Aerial Vehicles (UAV) for Agriculture Dgroups, by Giacomo Rambaldi. 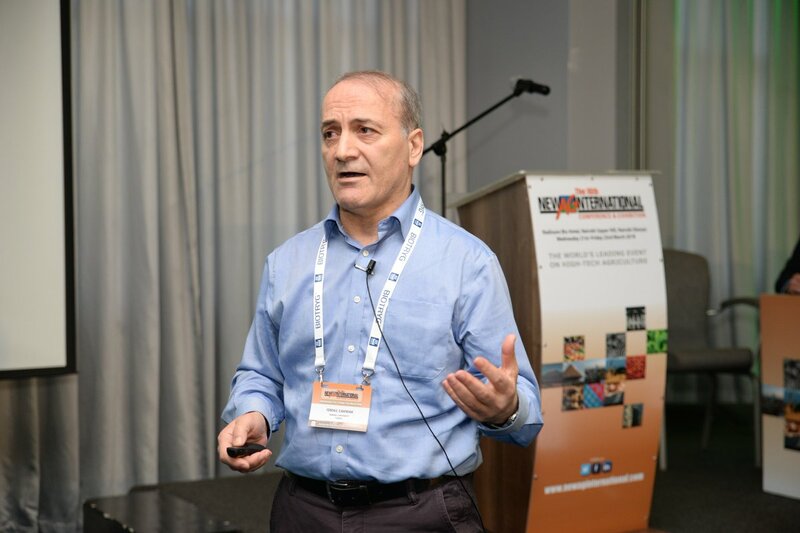 Giacomo Rambaldi from CTA talked about the Unmanned Aerial Vehicles (UAV) for Agriculture Dgroups – and how it has been instrumental to carry out a mapping of existing and forthcoming policies, laws and regulations governing the use of UAVs. HIFA Dgroups, by Neil Pakenham-Walsh. Neil Pakenham-Walsh presented how Dgroups is being used by the HIFA forums. These groups bring together more than 15,000 people from 175 countries to explore ways to improve the availability and use of health information in low- and middle-income countries. Dgroups is the platform enabling the conversation and dialogue on the HIFA forums. Over the coming weeks, the organisers publish a series of individual posts with each case study and presentation shared during the webinar. 27 March 2018. Brussels. 11th Forum for the Future of Agriculture FFA call for action: healthy farming, healthy food, healthy future. 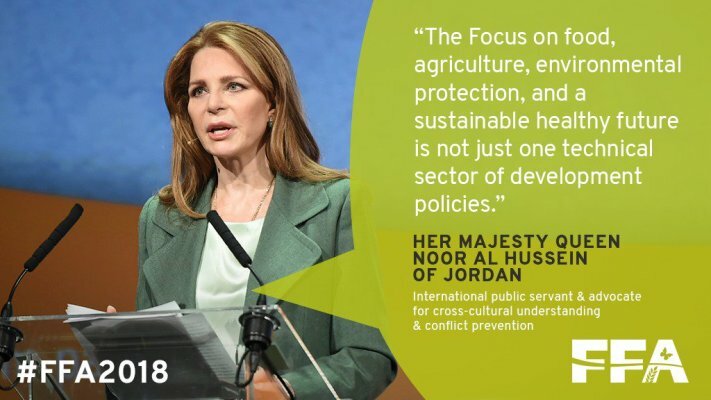 The Forum for the Future of Agriculture 2018 called for action by all stakeholders and society at large to work together in order to deliver real-world solutions for a healthy future through healthy farming practices and healthy food production. The Forum brought together leaders from politics, industry, and society, who highlighted the importance of biodiversity for healthy food production, presented emerging farming technologies and best practices in artificial intelligence and sustainable forest management among others, as well as options on how to reduce food waste. 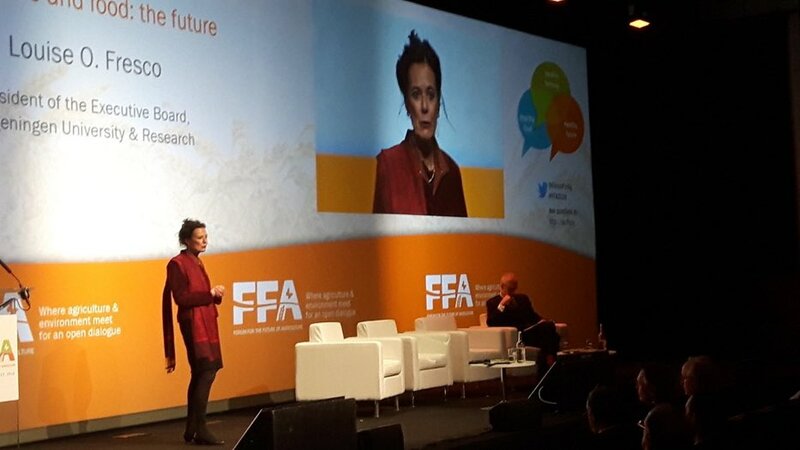 FFA2018 comes at a time when real-world action is needed to put the UN Sustainable Development Goals (SDGs) into practice and a new cycle of reform of the Common Agricultural Policy (CAP) is starting to take shape. This is coupled with growing public interest in farming practices, along with increased environmental awareness and health consciousness related to food consumption. 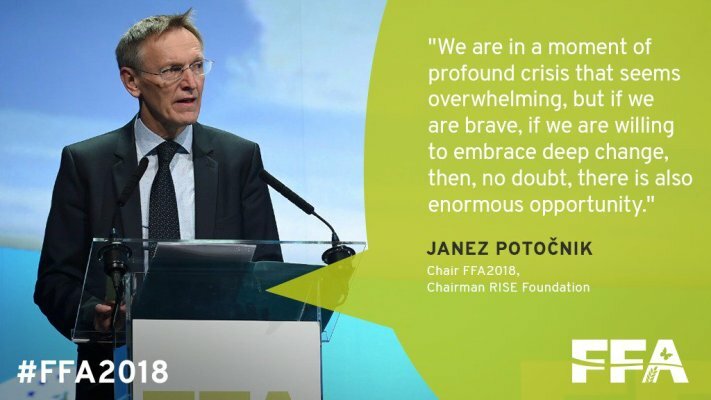 "Europe is a producer, importer, exporter of food with an informed population - that's a unique responsibility and opportunity to get the agriculture agenda right"
19-23 March 2018. Nairobi. Delegates from over 60 countries met with exhibitors from leading companies from every corner of the world, to consolidate or acquire knowledge on the latest trends in plant nutrition, plant protection, irrigation, fertigation, foliar spraying, greenhouse technology, precision agriculture and support systems. 19-20 March 2018. 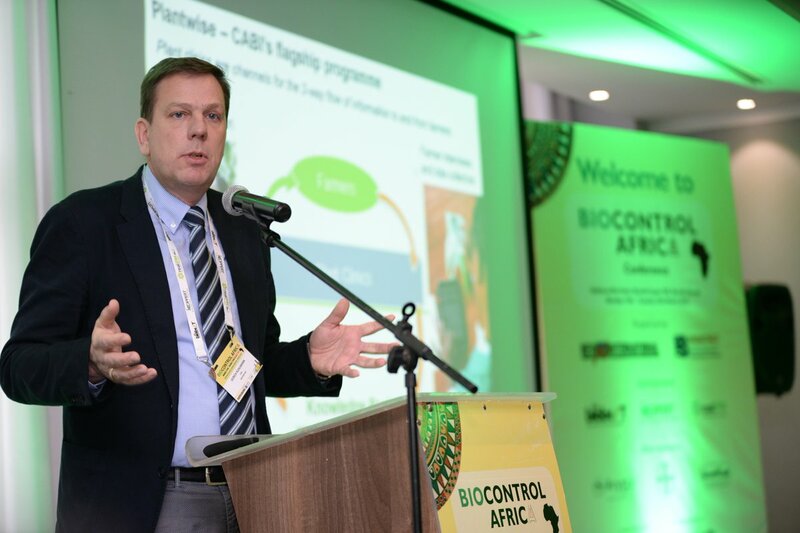 Extracts of the programme Biocontrol Africa conference. staff from the Botanic Garden, the Africa Museum and also RBIN (Royal Belgian Institute for Natural Sciences), this workshop involved people and organisations from the African Diaspora community. 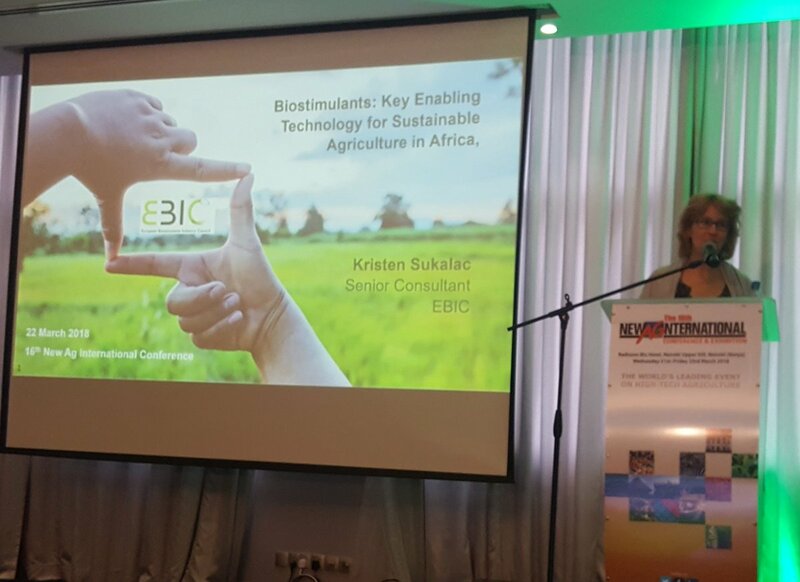 Presentation of RMCA projects on edible insects in Africa. Patricia Mergen, Royal Museum for Central Africa. 8-9 March 2018 . Accra. 15th Management Team Meeting (MTM). From Mid-April 2017 to July 2017 PAEPARD undertook an external and independent evaluation commissioned by the European Commission. The EC and FARA signed one year no-extra-cost-extension (NECE) agreement in October 2017. According to the agreement, the no-extra-cost-extension will run from 17th December 2017 to 16th December 2018. The 15th MTM was to plan the activities and implement the strategy of the NECE. 12-14 March 2018. Amsterdam. 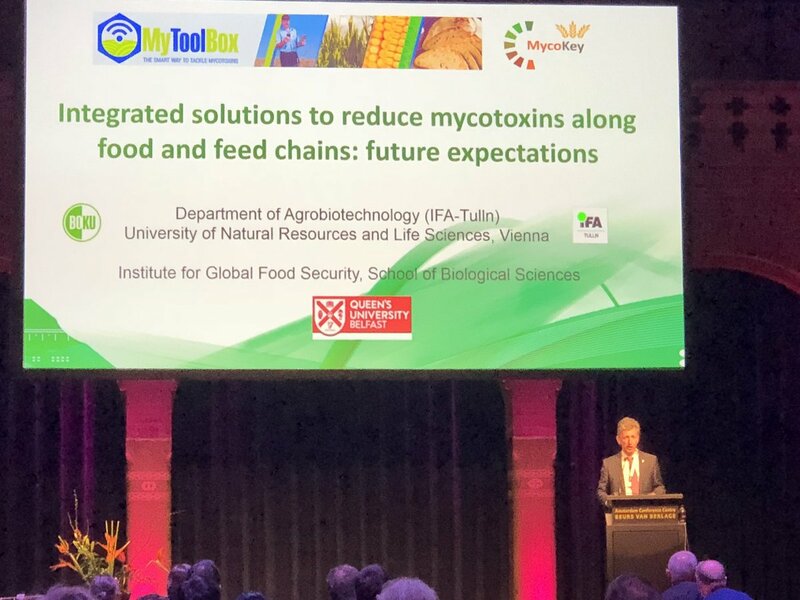 The World Mycotoxin Forum is the leading international meeting series on mycotoxins where food and feed industry representatives meet with people from universities and governments from around the world. Can we ever have a mycotoxin-free supply chain? 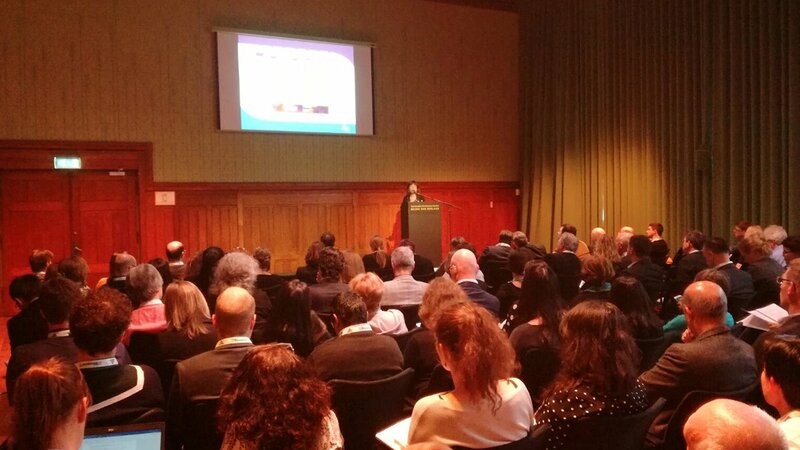 The 10th conference of The World Mycotoxin Forum contributed to this ultimate goal by taking mycotoxin control to the next level. lot of research and available interventions, mycotoxin prevention and control remain a challenge for agriculture, and for food and feed industries. 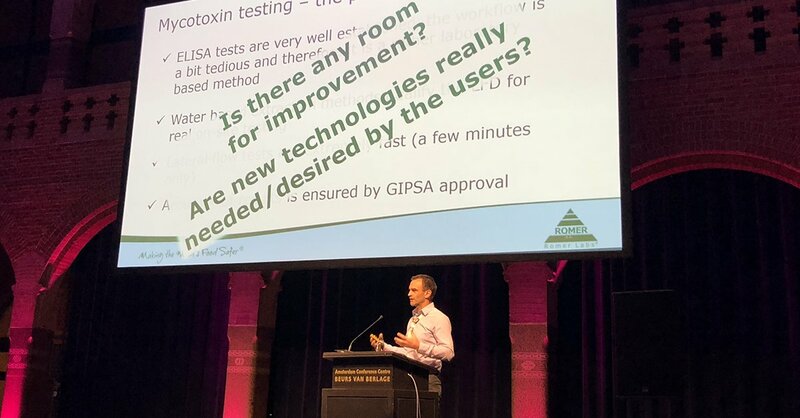 Several pre- and post-harvest measures can be taken in tackling mycotoxin exposure, however, they are not fully adequate to eliminate mycotoxins from the food and feed supply chain. In addition, climate change is increasingly affecting the occurrence of mycotoxins worldwide. Organic agriculture – with a constantly growing global market worth over 80 billion euros in 2016 – is also becoming increasingly important in low-income countries. While organic has the largest certified area world-wide and in low-income countries, other Voluntary Sustainability Standards (VSS) such as Fairtrade, UTZ, or Rainforest Alliance are also gaining in importance. Currently, at least 25 percent of the global coffee production and 9 percent of the global cotton is certified according to one of the major VSS (including organic). At this session, FiBL experts presented the latest data on the status of organic farming and other VSS, with a focus on selected commodities, and the development impact of these standards for low income countries will be discussed. See also the video stream. 9 March 2018. Agricultural sustainability project reached 20.9 million smallholder farmers across China. Smallholder farmers who cultivate perhaps only a few hectares of land dominate the agricultural landscape in places like China, India, and sub-Saharan Africa. 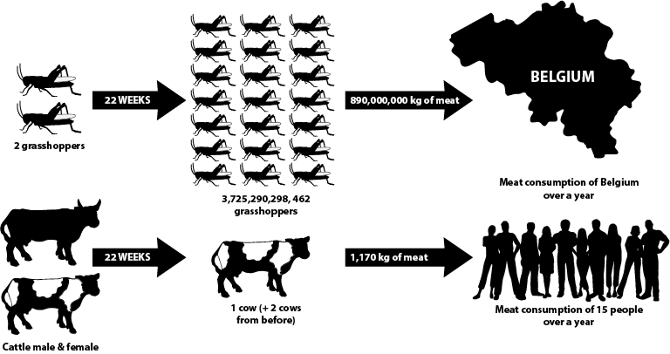 Increasing their efficiency while reducing their environmental impact are critical steps to ensuring a sustainable food source for the world's growing population. Yet sharing best practices with smallholder farmers, who often have limited resources to invest in their livelihoods and who number in the hundreds of millions in China alone, is a daunting prospect. In a report in the journal Nature, the University of Pennsylvania's Zhengxia Dou, professor of agricultural systems in the School of Veterinary Medicine, teamed with colleagues from China Agricultural University and other institutions in sharing the successful implementation of a long-term, broad-scale intervention that both improved yields and reduced fertilizer application across China. The effort, enacted over 10 years, engaged nearly 21 million farmers and increased yield on average more than 10 percent and lowered fertilizer use between 15 and 18 percent. Overall, the actions netted an increase in grain output with a decrease in fertilizer input and savings totaling $12.2 billion. To determine the best ways of meeting sustainable productivity demand, researchers in the current study conducted more than 13,000 field trials testing what they call an integrated soil-crop system management program, or ISSM, a model that helps determine which crop variety, planting date and density, fertilizer use, and other strategies will work best in a given climate and soil type. The tests were done with maize, rice, and wheat. To gain a deeper understanding of the current performance of Chinese farmers, the researchers conducted a survey of 8.6 million farmers from 1,944 counties across the nation. 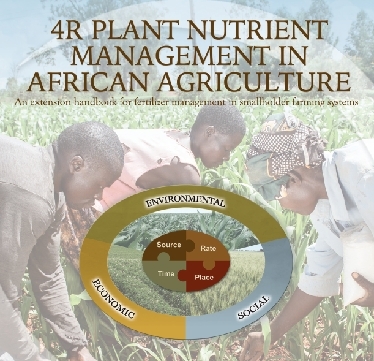 4R Plant Nutrient Management in African Agriculture: An extension handbook for fertilizer management in smallholder farming systems. The International Plant Nutrition Institute (IPNI) sub-Saharan Africa Program (IPNI sub-Saharan Africa c/o IFDC - East & Southern Africa Division ICIPE Compound Duduville - Kasarani, Nairobi, Kenya) has released 4 years ago (2014, 114 pages) an extension handbook for fertilizer management in smallholder farming in sub-Saharan Africa. The innovative handbook was developed as a resource for researchers, extension agents, agrodealers and other stakeholders working with smallholder farmers. Its purpose is to ensure that researchers and extension agents working with farmers have adequate information required to demonstrate and communicate to farmers the best ways to use fertilizers and other nutrient resources. The handbook provides practical guidelines for best nutrient management based on the principles of 4R nutrient Stewardship: Applying the Right Source of nutrients ta the Right Rate, Right Time and Right Place. 19 March - 19 April 2018. SALSA Online e-conference. (SALSA: Small Farms, Small Food Businesses and Sustainable Food Security). The virtual discussion is intended to draw the attention of researchers, educators, students and a wide spectrum of food chain/food system actors and entrepreneurs, as well as policy makers and administrators at multiple levels, on the role of small farms within a larger context. The e-conference is also open to all who wish to share their insights and discuss “The Role of Small Farms Within a Larger Context of Food Security”. While the participation in the e-conference remains free and voluntary, all participants are encouraged to actively contribute with their experiences. The project “Small Farms, Small Food Businesses and Sustainable Food Security” (SALSA, www.salsa.uevora.pt/en/) aims to provide a better understanding of the current and potential contribution of small farms and food businesses to sustainable FSN. A coalition of 16 European and African partners are collaborating in assessing the role of small farms and small food businesses in delivering a sustainable and secure supply of affordable, nutritious and culturally adequate food. The four-year SALSA project began in April 2016. 20 March 2018. The 2018 Global Food Policy Report is now availalbe. Thisreport looks at the impacts of greater global integration – including the movement of goods, investment, people, and knowledge – and at the potential impacts of current anti-globalization pressures. The report reviews the events of 2017, and asks how global integration – through trade, investment, migration, open data, developed country policies, and governance – can be harnessed to benefit our global food system. The 2018 report also presents data tables and visualizations for several key food policy indicators, including country-level data on hunger, agricultural spending and research investment, and projections for future agricultural production and consumption. How can the global food system deliver food security for all in the face of the radical changes taking place today? What is the role of trade in improving food security, nutrition, and sustainability? How can international investment best contribute to local food security and better food systems in developing countries? Do voluntary and involuntary migration increase or decrease food security in source countries and host countries? What opportunities does greater data availability open up for improving agriculture and food security? How does reform of developed-country farm support policies affect global food security? How can global governance structures better address problems of food security and nutrition? What major trends and events affected food security and nutrition across the globe in 2017? ways to use the Sustainable Development Goals. The business case: Is there a business case for pursuing the SDGs, and if there is, what is it? Market access and long-term stability for smallholders: Improved access to markets can help smallholders build their assets and incomes, so how can business help? Goal 2.A: Farmer access to finance and funding Why is it so hard for smallholders to gain access to finance and funding, and how can business can make it easier for them? 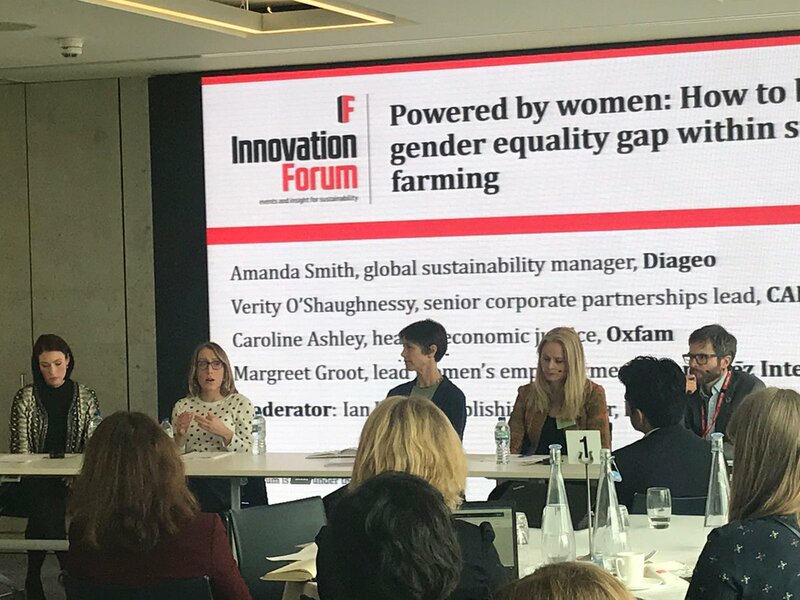 Goal 5: Gender equality within smallholder farming How can business correct the severe inequalities between male and female farmers? Goal 8.8: Working conditions and human rights on smallholder farms What can business do to ensure the farmers in their supply chains have a decent working conditions? Goal 12.3: Reducing food waste at farm level Best farm management practices, technology and other solutions to reduce and eliminate food waste at the farm level. 12-15 March 2018. Bujumbura-Burundi. Workshop on the implication of women and youth in Agri business. La situation actuelle des femmes et des jeunes burundais est qu’ils jouent un rôle essentiel dans les chaînes de valeur agricoles mais leurs contributions restent souvent invisible car ils se trouvent dans les maillons les moins valorisés et sont souvent confrontés à plusieurs problèmes notamment les ressources financières, matériels, etc. L’objectif du réseau AgriProFocus pour ce Programme est de susciter l’implication des jeunes et des femmes dans l’agribusiness et les amener à l’exercer professionnellement. Créer la Communauté d’innovation Jeunes et agribusiness. Developper des fiches d'information sur les opportunités, défis, intervenants,les développements, etc sur 3 chaînes de valeurs Pomme de Terre, Miel et Ananas au Burundi, Rwanda et République Démocratique du Congo. Mettre en relation les jeunes agripreneurs locaux et régionaux. Faciliter l’apprentissage des jeunes en les liants aux incubateurs ou autres acteurs ou par des échanges inter pays. Faciliter la connexion des Organisations des Producteurs des femmes aux unités de transformation. Faciliter la connexion des femmes entrepreneurs aux femmes de la sous-région. Organiser des compétitions des jeunes entrepreneurs dans 3 chaînes de valeurs Pomme de Terre, apiculture(Miel), et les ananas dans les 3 pays. Formation sur l'intégration du genre dans les chaînes de valeur. Collaborer avec les partenaires pour développer les techniques de conservation et transformation des produits agricole. Faciliter la connexion des femmes productrice en groupements. Faire le Mapping des Jeunes agripreneurs. Faire participer les jeunes agripreneurs dans les émissions radios. Identifier et communiquer sur les opportunités et les défis pour le financement de l’entrepreneuriat des jeunes. Organiser des Business cocktails pour inciter les jeunes à faire réellement de l’agribusiness. Identifier et communiquer sur les opportunités et les défis pour le financement de l’entrepreneuriat des femmes. Organiser des business cocktails pour inciter les femmes à réellement faire l’agriculture comme business. Créer une base de données sur des initiatives des femmes entrepreneurs. 7-9 March. Dakar, Senegal. AAIN Agribusiness Incubation Conference. 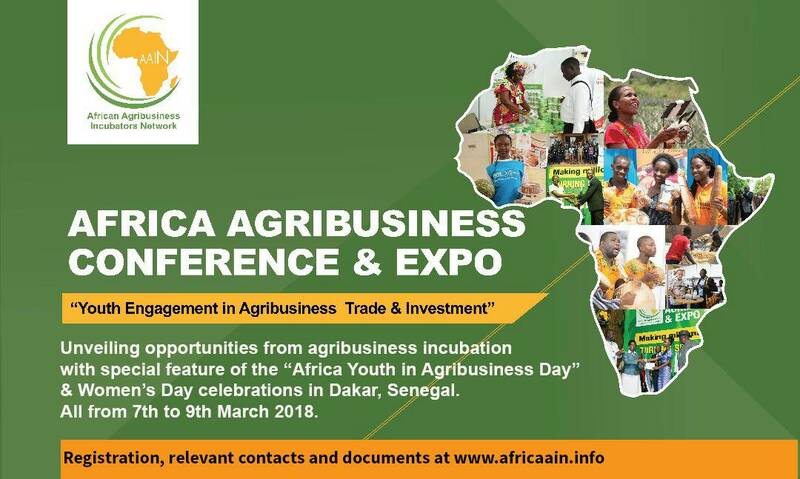 This year’s theme was “Youth engagement in agribusiness trade and investment”. 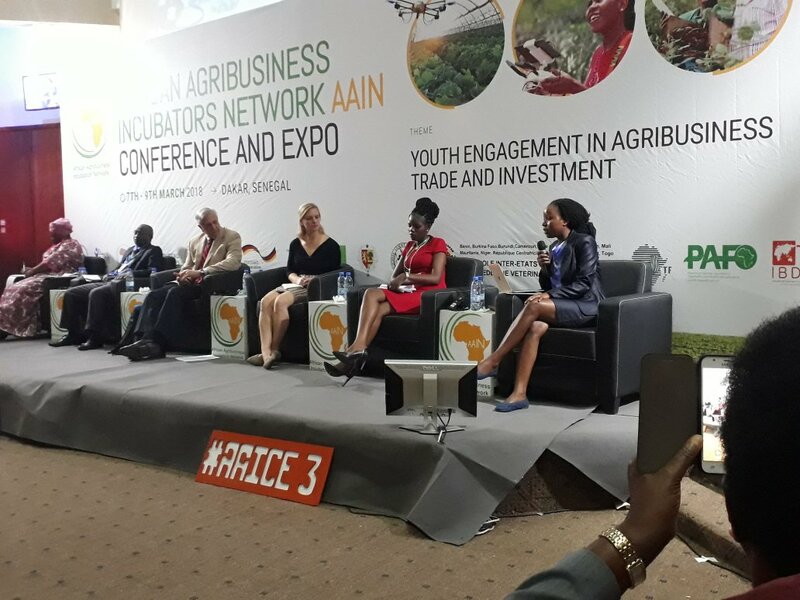 AAIN CEO, Alex Ariho, emphasised that the agribusiness conference was designed to bring together incubators and enable them to share, interrogate and shift promising practices to good practices in agribusiness, a sector touted to reach a market value of US$1 trillion (€0.8 trillion) in Africa by 2030. CTA held an interactive session on how the incubation of women and youth entrepreneurs in agribusiness could be supported through ICT knowledge sharing and peer learning. As one of the co-organisers, CTA also sponsored 30 participants, comprising women and youth agripreneurs, ICT entrepreneurs, and a knowledge management team. The themes covered in the session align with CTA's strategic interventions on youth entrepreneurship and the new project, VALUE4HER on women in agribusiness. CTA is also currently exploring how ICTs can specifically support agribusiness. This training targeted Agribusiness incubator managers or individuals keen to establish incubators. It was delivered by professionals and practising incubator managers who have deep experience on different models on how to set up, manage, finance an incubator, evaluate performance, and design mentoring programs. The training program was designed to be experiential and interwoven with content within the conference. the IITA campus in Cotonou, Benin. 7 March 2018. Cotonou, Benin. 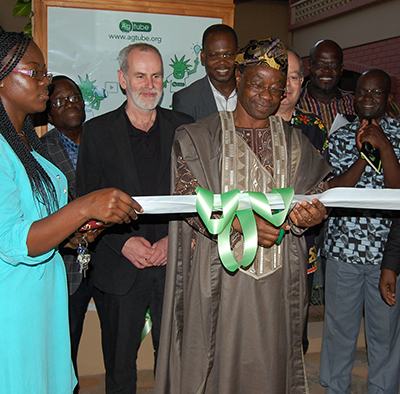 Access Agriculture moved into new office for West and Central Africa. Located on the campus of the research organisation IITA, the new facility gives the opportunity to interact with visitors to the site and showcase how “farmer to farmer” videos can help transform livelihoods for smallholder farmers. Dr. Paul Van Mele, Chairman of Access Agriculture; Dr. Nelson Ojijo, Executive Secretary; and Dr. Dominique Hounkonnou, board member were all present at the ceremony. They were joined by their partners in Benin including University of Abomey-Calavi, University of Parakou, DEDRAS, Songhai Centre. DEDRAS, Helvetas Benin, IFDC, Technoserve Benin, PNUD, INRAB (National Research Center), AfricaRice, World Vegetable Center, Bioversity International, and CIVA projects. The Access Agriculture office is expected to become a hub for collaboration with other organisations committed to working in local languages. The SIF will offer an investment opportunity for donors, DFIs, private sector foundations and investors that have expressed early interest in the concept and are seeking to reach IFAD’s target groups to improve production and productivity significantly. The SIF will leverage IFAD’s portfolio of public sector-funded programmes, its de-risking mechanisms through IFAD’s regular portfolio from replenishment fund, financial instruments, public- private producer partnership mechanism, and mobile information platform, blending opportunities with other partners, its smallholder organizations client base, and its field presence and retailing capacity, garnered over 40 years of work in rural development financing. The IFAD portfolio and de-risking mechanism is the main “pillar” of the Framework for Smallholder Agricultural Finance (SAFIN). 20-21 February 2018. Derio, Bilbao, Spain. Partners in GFAR held a workshop to launch a Collective Action on empowering rural communities as drivers of agricultural innovation, by making farmers real participants in research processes. The workshop participants wrestled with what participatory research really should look like and who should be involved, and how they made commitments to take forward the elaboration and implementation of this Collective Action! A GFAR Collective Action on empowering rural communities to determine their own futures was also launched to make use of participatory foresight method, to produce research and innovations that truly address farmers’ problems as they see them. With their foresight capacity built, find out what the young practitioners at the core of the new Africa Foresight Academy are doing to advance #Foresight4Ag! What is participatory research? Who actually participates in what, and how? Is it only happening in individual countries, in certain projects? If so, how can it be scaled up? What kind of change is needed to make research processes participatory? Is it about attitudes, governance structures, policies, funding channels? What kind of partners and partnerships are essential? These were some of the questions participants came to grapple with during the two-day workshop, The Partners were there to develop a strategy, a design for a Collective Action. The goal of all approaches to making research more participatory is to end up with fewer publications collecting dust on the shelves, and more farmers benefitting from the knowledge this research has to offer. More technologies effectively made available and usable by farmers. Importantly, though, it’s also about finding ways to integrate farmers’ own traditional knowledge and techniques with the findings of research institutions in the best possible way. It’s about empowering smallholder family farmers to innovate in agriculture themselves, rather than to just be occasional recipients in a research pipeline. Feature 1: Sustaining innovative research in favor of smallholder family farmer should have a dual participatory dimension, both at the level of the specific activities that support this type of research, grounded at local and country experience, and among the actors themselves, to constitute the initial working nucleus of GFAR partners designing the Collective Action. This nucleus will perform its own self-analysis to identify the room and potential for improvement of respective roles and contributions. This Working Group will be comprised of representatives from the Partners in GFAR participating in the Collective Action who have made commitments to drive it forward. Feature 2: Existing cases where institutional and operational innovations in governance of research with/of family farmers are taking place will be put at the center of the activities. The Working Group will build on experiences of the Partners themselves in order to address the challenges to making research processes truly participatory: the way their decision-making processes work – or don’t work – in favor of smallholder family farms within their organizations and in partnership with others. Feature 3: Throughout the elaboration of the Concept Note design, partnership quality assessment criteria inspired by what was discussed at the workshop will be applied to monitor the process of partnership building and ensure it is coherent with the values of participatory research. The Role of Public-Private Partnerships in Delivering Climate Information Services in Africa. Recognizing the role public-private partnerships (PPPs) could play in advancing CIS in Sub-Saharan Africa, the Assessing Sustainability and Effectiveness of Climate Information Services in Africa (Sustainable CIS) project is identifying and piloting effective models for establishing robust PPPs in this sector. While many African countries have experience in establishing PPPs in agriculture, infrastructure and healthcare, PPPs for CIS are still nascent. Successful PPPs require clear motivation and benefit to all parties. Read more here. Strengthening Climate Information Services in Africa: Where are the Opportunities? "Climate sensitive information needs to reach the right people for the appropriate decision that needs to be made...it is not just about useful information, but about valuable information based on user needs". 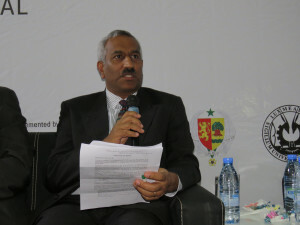 This widely agreed-upon statement was made by Youcef Ait Chellouche of the International Federation of Red Cross and Red Crescent Societies (IFRC) in September 2017, when the Africa meteorology and hydromet community came together to call for regional cooperation, gender-inclusion, and private sector engagement to improve climate information services (CIS). Read more here. Millions of dollars in investments have been made in weather and climate infrastructure in Sub-Saharan Africa (SSA) over the past few decades, yet sustainable Climate Information Services (CIS) remain elusive. This webinar examined what is happening in the African region today, and how CIS developments can be leveraged to create investment cycles that meet the needs of end users. This webinar drew on the findings from a soon to be published white paper ‘A CIS market assessment and business model review’. The demand for CIS was illustrated through case studies of current markets in SSA. 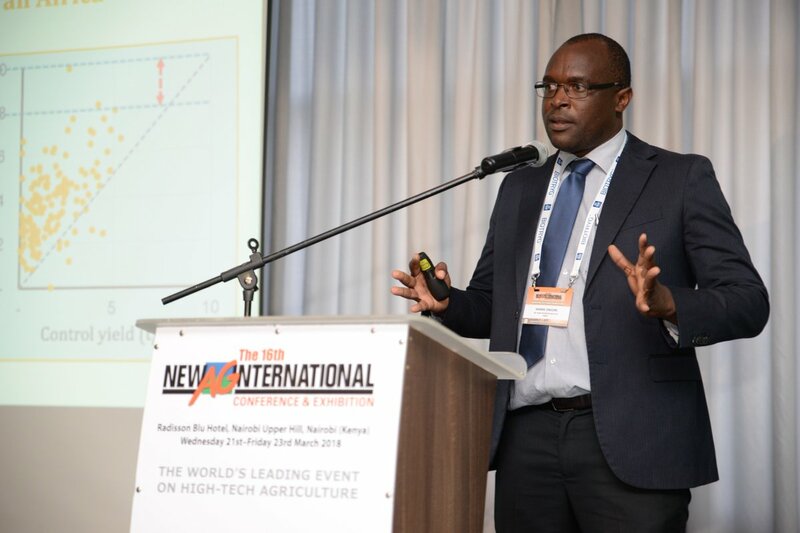 Two private sector actors showcased examples of their work and how they engage with National Meteorological and Hydrological Services (NMHSs) and other government agencies. Additionally, the demand for services to integrate climate information into infrastructure planning and design decisions was discussed, based on a recent research study. 28 February 2018. 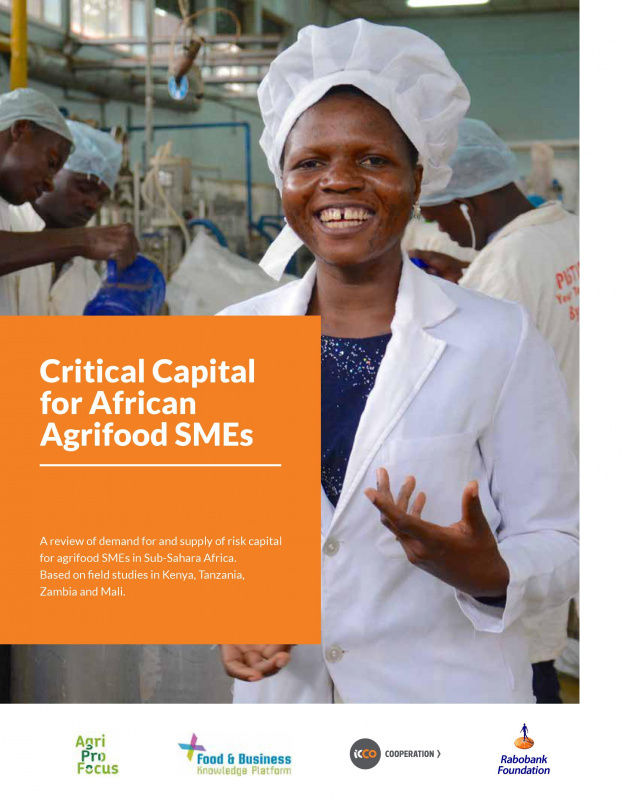 Rabobank Foundation, AgriProFocus, Food and the Business Knowledge Platform and ICCO Cooperation published the study ‘Critical Capital for African Agrifood SMEs’. The study evaluates the access of risk capital by agrifood SMEs (small and medium enterprises). SMEs are key for establishing sustainable food systems, while at the same time face difficulties to access capital. The study focuses on agrifood SMEs that form the ‘missing middle’: too large for micro-finance and too small for mainstream banks and private equity firms. A major conclusion is that there are very few investment funds that meet the financing needs of agrifood SMEs, that are usually under 250.000 USD and rarely higher than 1M USD. 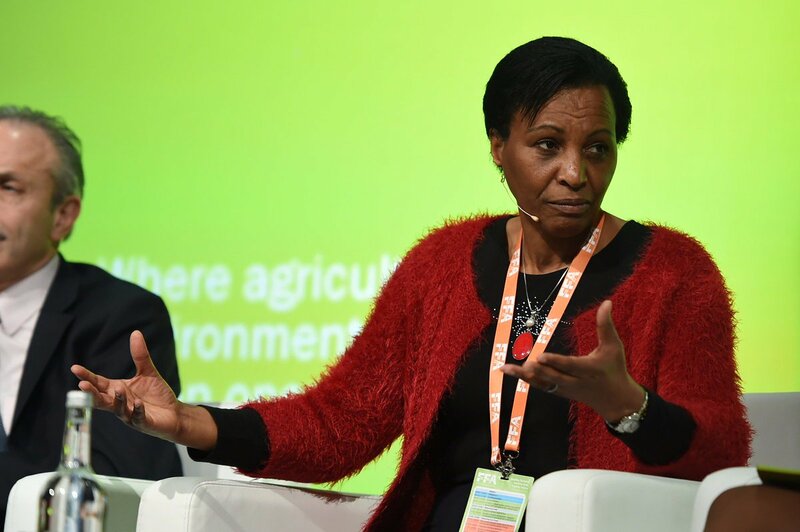 Such smaller investments are tedious and costly for investment funds, even for those set up with the explicit goal to stimulate the development of the agrifood sector. The report therefore calls on policy makers to promote a graduation strategy, that allows investors to offer an assortment of services to agrifood SMEs that match their development stage. Governments and international development agencies can contribute to such a strategy by reorganising investment funds; giving them a wider mandate and access to relevant financial resources. Large portions of the African population continue to be food insecure despite availability of natural resources. Food supply is constrained by low productivity of soil and water, huge post-harvest losses, climate change, and poorly functioning value chains. Agrifood SMEs occupy critical positions along the value chains: as input suppliers, off-takers, processors, distributors, service providers or otherwise. 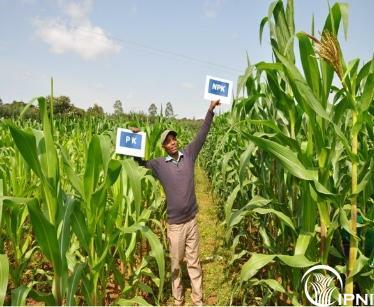 They constitute a pull factor, aggregating large groups of smallholder farmers into the value chain, which can lead to better livelihoods and food security. Apart from desk research, the study involved field research in four countries (Kenya, Tanzania, Zambia and Mali). Local researchers interviewed investment funds, agrifood SMEs, and relevant resource persons. This resulted in examples of successful SMEs that had raised capital, thereby boosting their development, and of SMEs that could not access such funds. The study also presents an overview of existing investment funds for agrifood SMEs in Africa. Blog posts related to ARD activities in February 2018. 2 March 2018. Brussels. African Diaspora Projects Initiative 2018 call for projects. 1st March 2018. Brussels. Mainstreaming of effective biodiversity protection in the agri-food sector is a necessity. Biodiversity is an essential component of a transition towards sustainable food systems, and should be discussed with food companies and stakeholders and supported by Governments and Institutions. 28 February 2018. Déterminants de la diffusion des technologies en milieu rural avec les vidéos: cas des bonnes pratiques de transformation de soja en fromages au Bénin. 56 pages. The German Federal Ministry for Economic Cooperation and Development (BMZ) and the Deutsche Gesellschaft für Internationale Zusammenarbeit (GIZ) collaborated with the African Union Commission (AUC) to make this publication available. Proper detection is the basis to deal with mycotoxins including aflatoxins which are invisible poisons. 22-23 February 2018. Arlington, Virginia, US. The Agricultural Outlook Forum is the USDA’s largest annual meeting, attracting as many as 2,000 attendees from the U.S. and abroad. 22 February 2018. Harare, Zimbabwe. MYTOX SOUTH dissemination workshop. 15 February 2018. Brussels. DevCo InfoPoint. The European Commission intends to seize all opportunities for promoting nutrition-sensitive food systems. 12 to 16 February 2018. Entebbe, Uganda. 15th February 2018. Abuja, Nigeria. 11 February 2018. Cairo, Egypt. 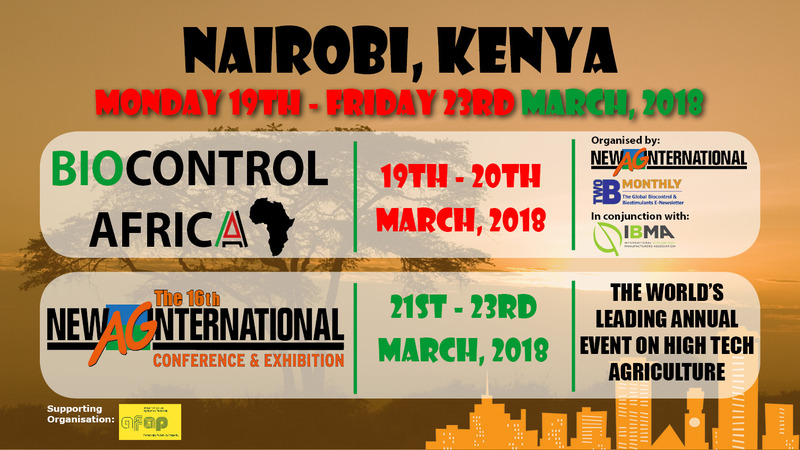 Third edition of the 2018 Africa STI Forum. 10-12 February 2018. Cairo, Egypt. The theme of the third edition of the 2018 Africa STI Forum, co-organized by the African Development Bank and the Egyptian Government, was “Enhancing the competitiveness of the African private sector and transforming Africa through science, technology and innovation”. In the blog post you will find the MINISTERIAL DECLARATION (6 pages) and a PAEPARD video interview with Prof. Hany El Shemy, Co-Chair, EU- AU High level Policy Dialogue (HLPD) on Science, Technology and Innovation which is embedded in the blog post. 7 February 2018. Brussels. Infopoint Lunchtime conference. This EASAC report combines analysis of the current status in Europe with exploration of ways forward. Funders who support agriculture and nutrition research need to focus much more of their resources on food intake and on diets. The era of commodity research aimed at feeding a starving world is over; a new era has begun that requires us to nourish all consumers globally in ways that can be sustained environmentally, economically and culturally. 27 January 2018. African Heads of State gathered in Addis Ababa, Ethiopia for the 30th African Union Summit to discuss issues vital to the continent’s progress and prospect.